South Dakota is a land of craggy mountains, rolling hills, and fertile prairies. The state is also known for Mount Rushmore. Here you will find friendly and caring residents. If you too want a fulfilling career with great income opportunity, pass the hearing aid specialist licensing exam here in South Dakota to work as a licensed professional. The South Dakota School for the Deaf was established in 1880 with a mission to educate children with hearing loss. Along with providing high-quality education and hearing health care services, the South Dakota School for the Deaf is a great resource for empowering families. Why Enroll in Hearing Aid Academy? Want to work as a hearing aid specialist? A career as a hearing aid specialist opens new opportunity doors for students who have passed the hearing aid specialist licensing exam here in South Dakota. If you are pained by seeing people distressed and want to help them, a career as a hearing aid specialist beckon you. Hearing health industry is growing at a fast pace and there are plenty of job opportunities for licensed professionals. You can choose to work with a retailer, work for yourself or offer mobile hearing aid testing to people suffering from the hearing problem. Are you ready to build your career as a hearing aid specialist? If so, enroll with the Hearing Aid Academy. The Academy offers step-by-step, comprehensive, advanced and powerful online education program to prepare you for the International Licensing Exam (ILE) administered by the International Hearing Society (IHS). The Hearing Aid Academy 100% online course is valid across all 50 states in America. Therefore, no matter which state you live in, you can prepare for the exam and start working as a qualified professional in 3 to 6 months. So if you feel stuck in your job, if you think you are not earning the income that you deserve or if you feel your career does not have a future, it’s the right time to prepare for the licensing exam. The hearing health industry is growing at a fast pace and it is not going to slow down any time soon. Enroll with the academy and prepare for the hearing aid specialist licensing exam here in South Dakota. When you believe you are in the wrong career, there is no need to settle for less than what you deserve. Various retail companies are creating job opportunities for licensed hearing aid specialists. But due to lack of qualified professionals, the companies have slowed down their expansion process. This is the right time to prepare for hearing aid specialist licensing exam here in South Dakota and pass the exam to start working as a licensed professional. By passing the ILE, you can choose a high paying career that comes with job stability. Working as a hearing aid specialist also gives you the opportunity to work flexible hours while having weekends and holidays off. When you register at the Hearing Aid Academy, you get access to an advanced 100% online self-paced education program. The course is spread over 100 hours of online training which is divided into 31 special training modules. You can work on these modules according to your convenience. With a working internet connection and a laptop, you can study anywhere anytime. It is easy to set your work schedule without worrying about leaving your daytime job or avoiding your important commitments. So no matter where you are in the world, you can prepare for the hearing aid specialist licensing exam here in South Dakota at your convenience. By passing the ILE, you can build a respectable career that comes with a great earning potential. You will get a chance to work in a medical profession which is in high demand right now. 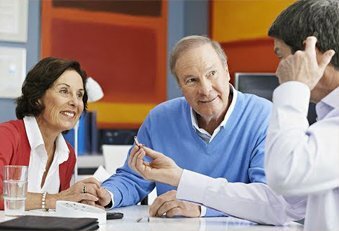 Licensed hearing aid specialist can earn anywhere from $52,000 to $72,000 depending on the location they are serving.At the Hearing Aid Academy, we have qualified instructors with more than three decades of real-world experience as HAS on board. Students get one-on-one support from the instructors along with extensive training to pass the written and practical hearing aid specialist licensing exam here in South Dakota. The Hearing Aid Academy Online Program is not a two-year commitment program or a thousand dollar scam. This program can be completed in as little as 12 weeks. This is the most advanced, comprehensive and complete online training program that prepares you for the hearing aid specialist licensing exam here in South Dakota.By choosing an online education program over the traditional route; you will save time and money while learning a skill that comes with great earning potential. To start the program, you just need a working internet connection and a laptop. An online program such as the Hearing Aid Academy gives you the freedom to study anywhere anytime. We are proud to provide financial assistance to students who qualify for the program. This is a specifically designed education program whose payments start as low as $199 per month. So if you want to have the freedom to study at your pace, work while studying and want to become a part of this fast-growing industry, prepare for the hearing aid specialist licensing exam here in South Dakota. To start practicing as a licensed professional, you need to pass some additional requirements. We will help you know more about your state requirements. Pass the written and practical hearing aid specialist licensing exam here in South Dakota administered by the International Hearing Society to start practicing as a hearing aid specialist. Work flexible hours and earn as much as you want. For Queries, email at admissions@hearingaidacademy.com Or get in touch with an admission representative at (903) 487-0097.